We are big into scouts around here. The little man is in his second year and loves it. And being Scouts, it runs on volunteers from the parents to make every event and meeting a success. So for that reason, my husband and I are very involved with our pack. Last week we had our Christmas party and I volunteered to run it. We ate, played games, decorated ornaments, and had a crazy Santa hat contest. The idea was simple. Take a Santa hat and decorate it any way you wanted to. 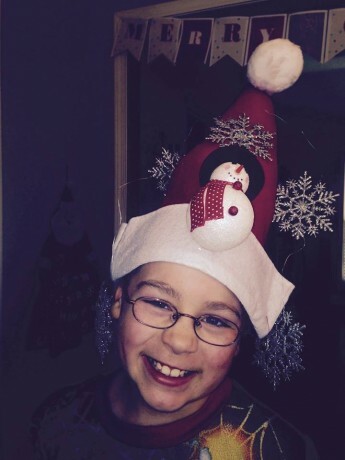 Little man went for a snowman in a snowstorm for his hat. My husband and I decided it would be neat to make trophies for the boys. 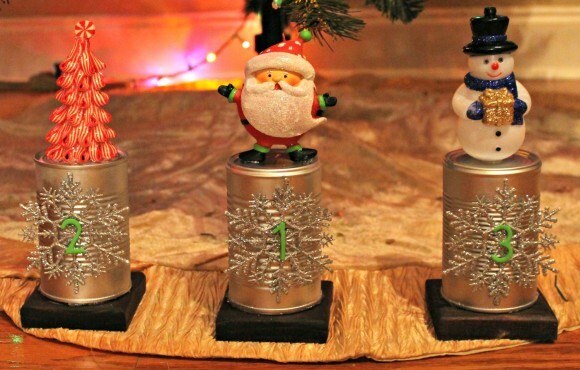 Simple cans spray painted silver, glued onto a base, with an ornament glued to the top. 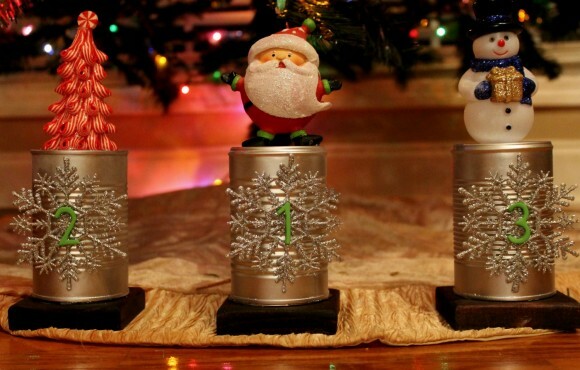 We then added a snowflake ornament to the front and made the numbers out of foam stickers and a stencil. The boys all loved them. We are already planning a 4 can tall trophy for the Pinewood Derby. I will be sure to take lots of step by step photos when we make that one.